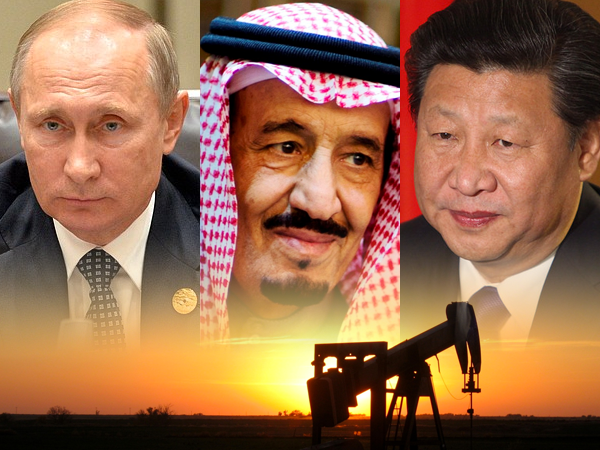 China, Russia, and Saudi Arabia are rapidly aligning in response to trade sanctions and political discord from western nations. Together, they could soon bring a dramatic end to the global supremacy of America and the U.S dollar. Following the meeting, the two countries launched a joint energy investment fund worth $1 billion. The fund could include investments in natural gas projects and petrochemical plants. Saudi state oil firm Saudi Aramco signed a deal with Russian Direct Investment Fund (RDIF) and gas processing and petrochemicals company Sibur on joint projects in the area of oil refining. The two countries also agreed to cooperate in nuclear energy, agriculture, information technology; trade, investments and social development.